THE FIX IS IN. Nothing grows a shop quite like automation. That's why, at Enshu, every one of our machines are pre-engineered for quick retrofits that give you a more profitable process. • Pallet Systems for slashed setup times • Hydraulic Fixtures for automatic part clamping • Robots for instant loading and unloading Enshus work harder than any machine on earth, and being retrofit-ready ensures they have you covered as you grow. 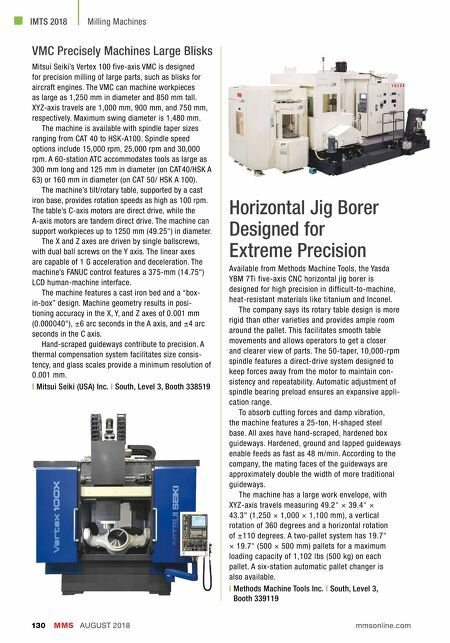 Visit our booth at IMTS to check them out. Booth 338592 in the South Hall. 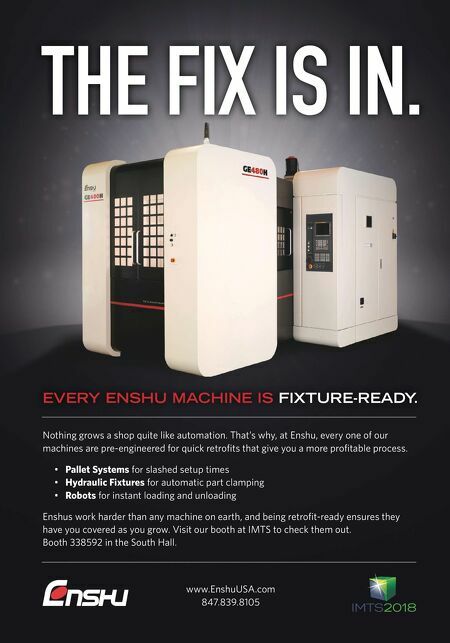 www.EnshuUSA.com 847.839.8105 EVERY ENSHU MACHINE IS FIXTURE-READY.